If you’re looking for stunning fibreglass garage doors that are made to last, you should look no further than us here at Arridge Garage Doors. 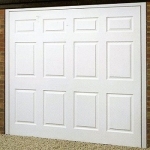 Our extensive range of GRP garage doors are suitable for any style of property. 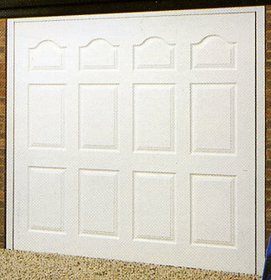 Contemporary garage door designs for modern properties and traditional garage door designs to suit Tudor, Gothic, Georgian and Edwardian properties are all available as high quality, maintenance-free doors. To see our wood effect GRP Garage doors range, click on the link. Our fibreglass garage doors are rot proof so are therefore ideal for coastal locations, and also have a beautiful high gloss, maintenance free finish. 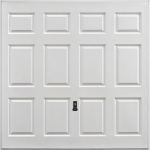 The panels have deep embossments to give a high quality appearance, and all our maintenance free garage doors come with a pre-installed up and over counterbalance mechanism. 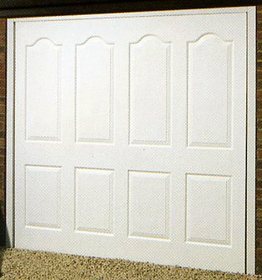 Matching frames to quickly and easily fix the door to the garage can be ordered and come factory fitted on single doors. 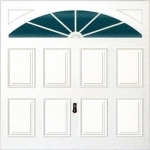 Double doors can come with “knock down” frames for quick on-site assembly. 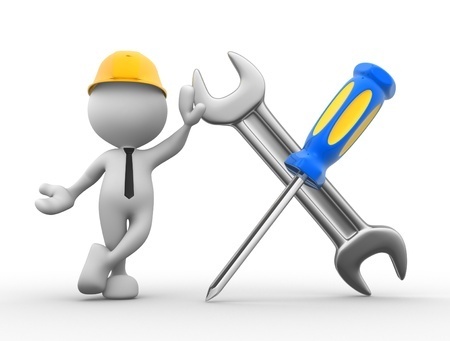 Whether you are looking for manual or automatic maintenance free garage doors, you will be spoilt for choice when you come to us. To add remote control automation to your chosen door simply click the link to see details and discounted prices on all our automation kits. 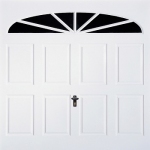 Our fibreglass garage doors prices are incredibly competitive with all our website prices being heavily discounted from the manufacturer’s price. 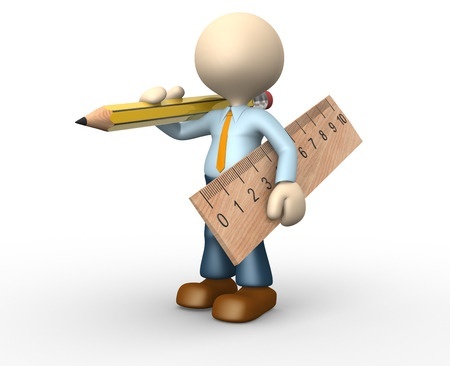 You’re sure to find the perfect style to suit your budget. 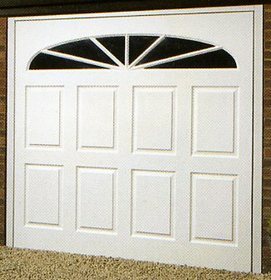 For high quality and affordable GRP fibreglass garage doors, make sure you come to us here at Arridge Garage Doors. The 3 Crown door has a rigid construction, with the steel door panel bracings being encapsulated in an additional layer of glassfibre which is matted onto the rear of the door. This reduces light translucency. The 4 Crown door has an additional smooth gel coat on the back for a smooth wipe clean surface, as does the Hormann and Garador fibreglass door range. 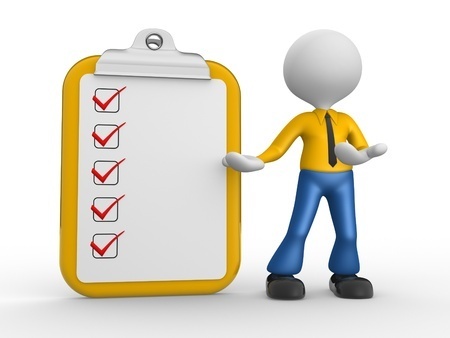 For more information on our standard and made-to-measure garage doors, contact us today. 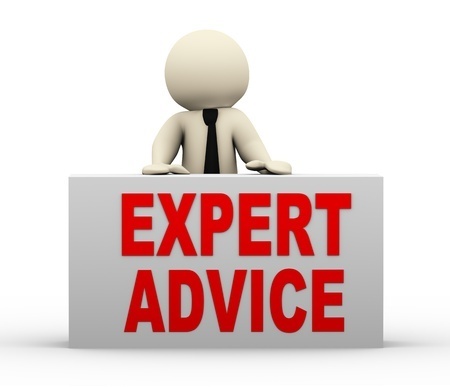 For details on our supply and installation service on our glassfibre doors click on the link to see our fitter in your area.